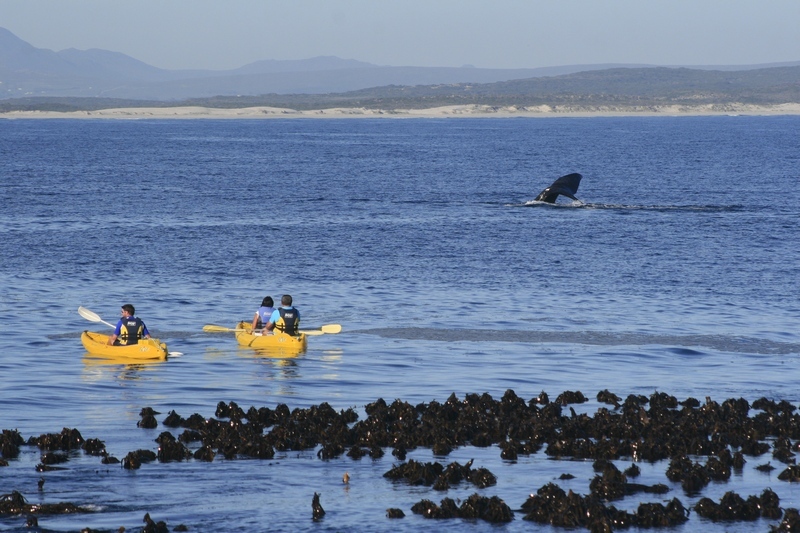 Explore the magic of the SA coastline with its abundant marine life up close and personal in a stable kayak in the company of an experienced guide. Glide across sparkling water while enjoying a view of the majestic mountain, sea cliffs and marine life. After a thorough briefing on kayaking techniques and safety you paddle from the historical Old Harbour and do a round trip, the direction dependant on winds, swells and paddling abilities. A knowledgeable guide shall open up the wonders of our ocean to you, as we explore the beautiful natural surroundings. 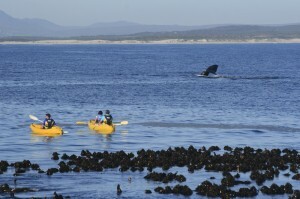 Kayaks are paddled in a Marine Reserve and by law the kayaks are not allowed to come within 300m of a whale. If they decide to come close to the kayaks, the kayak must move away from them. Walker Bay Adventures also offer more land based whale watching and even some tours in the area to take in such as wine tours in the region, cruised and simple walks. Discuss your possible taking part on one of these wonderful activities and we would be very happy to book you a day to remember. Walker Bay Adventures is the only company to offer Kayak opportunities and it is a very exciting activity.